I have performed with many Canadian and US symphonies as trumpet, piano, corno and vocal soloist while remaining a committed chamber artist in ensembles Few and Fewer, Bellows and Brass and Project Aria. It has been my great pleasure to be a guest at many summer festivals including The Festival of the Sound, The Ottawa International Chamber Music Festival, Tanglewood, Takefu International Music Festival, Oregon Bach Festival, Scotiafest and the Elora Festival. I am equally at home in classical or contemporary genres. Through the Canadian Broadcasting Corporation, the Canada Council, Factor and the Ontario Arts Council, I have debuted new works by Canadian composers including Glen Buhr, Peter Hatch, Alain Trudel, Melissa Hui, Mathieu Lussier, Linda Bouchard, Boyd McDonald, Jacques Hétu, John Estacio and many others. CD releases include numerous labels – S.N.E., Arsis Classics, CBC Musica Viva, CBC SM5000, Naxos, MSR Classics and Hänssler Classics. Awards include Best Classical Recording (Bacchanale/Just Plain Folks Music Awards/MSR), a Grammy (Penderecki CREDO/Hanssler Classics), and a Juno nomination (Canadian Concerto Project/MSR). Teaching is one of my great joys. I have presented clinics and masterclasses worldwide for festivals including Scotiafest, Takefu International Music Festival, Orford Arts Centre and the Banff Centre for the Arts, as well as postsecondary institutions such as the Montreal Conservatory, University of Toronto, Memorial University of Newfoundland, University of Saskatchewan, State University of New York at Fredonia and Sonoma State University. I have appeared on CBC-TV, CTV, BRAVO, TV5 and European television broadcasts and can be heard regularly on CBC Radio, Classical 96.3 and NPR. Guy Few's instrumental versatility and fearless interpretations have been noted by the international press, "outrageous...simply phenomenal" (Le Devoir, Montreal) and "sheer brilliance" (L.A. Times). Recording awards include a Grammy for Penderecki Credo (OBF/Rilling/Hänssler), and Best Classical Orchestral Album from Just Plain Folks Music Awards (guy and nadina/TCO/Kevin Mallon/MSR). Gold medal graduate of Wilfrid Laurier University, Waterloo, Canada. I describe myself as an instinctive and physical based teacher. My teaching style combines vocal and trumpet technique. 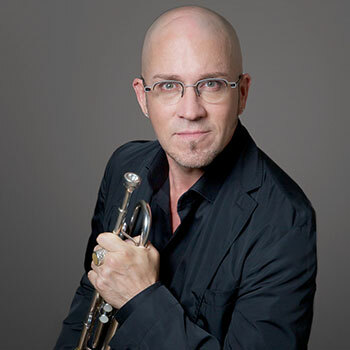 My personal trumpet teachers/influences include Vincent Chichowicz, Armando Ghitalla, Ramon Parcells and Erik Schultz. Find the joy!